The CE Tech 2-Port Wall Plate is used to install low voltage keystone inserts to a desired location. The wall plate's low profile design mounts flush to the wall. CE Tech snap-in inserts easily snap into the two (2) ports of the wall plate. The CE Tech 3-Port Wall Plate is used to install low voltage keystone inserts to a desired location. The wall plate's low profile design mounts flush to the wall. CE Tech snap-in inserts easily snap into the port of the wall plate. 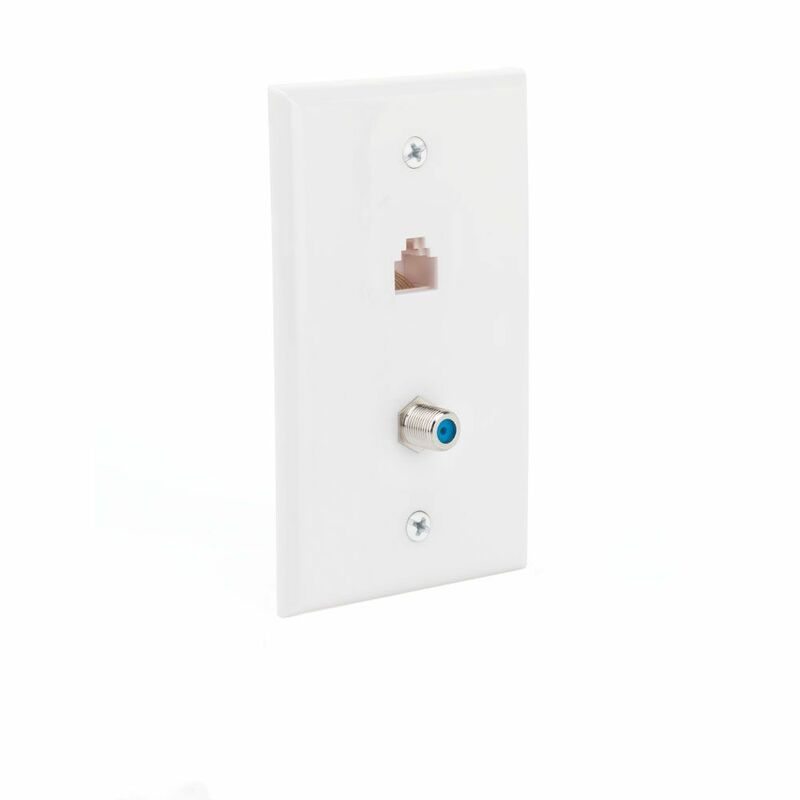 The CE-TECH White Component Video/HDMI/Digital and Audio Combination wall plate mounts to a standard wall plate outlet and features gold-plated connectors to help provide a high-quality signal. Screws are included. Coaxial / Ethernet Wall Plate The CE-TECH White RJ-11/RJ-45 Phone and Network Wall Plate offers ports for connecting telephone wire and Ethernet cable. This wall plate screws onto a standard in-wall electrical box. Coaxial / Ethernet Wall Plate is rated 3.0 out of 5 by 23. Rated 5 out of 5 by TJ from Easy to install both cable and CAT5e data cables easy to use instructions on how to wire data cab... Easy to install both cable and CAT5e data cables easy to use instructions on how to wire data cable. Looks just like it would by a professional installer. Rated 5 out of 5 by HomeDepotCustomer from The wall plate was exactly what I was looking for!... The wall plate was exactly what I was looking for! Arrived next day. Installed perfectly. Rated 5 out of 5 by montanacowboyjohn from Works great!... Works great! Rated 4 out of 5 by Slimian from Installation was easy using the very clear instructions for both... Installation was easy using the very clear instructions for both types of CAT5 cable.